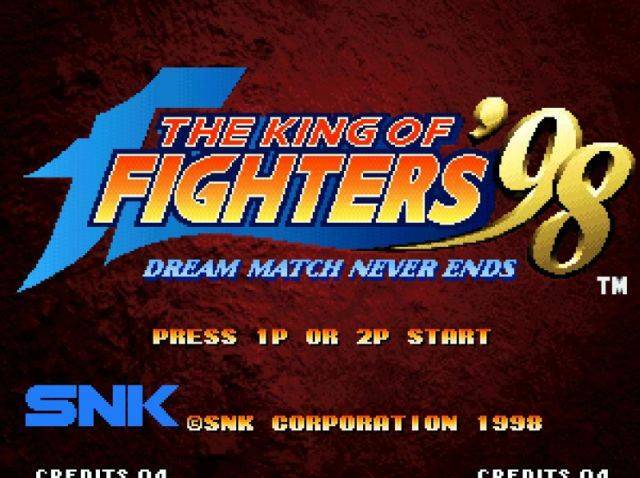 STORY: In terms of plot, KOF '98 does not have a story and was developed as a "dream match" with characters from all previous installments of King of Fighters. Incredibly memorable stages, music, and characters. 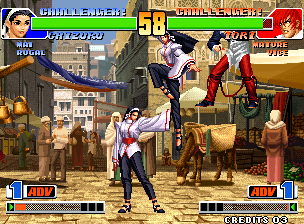 REVIEW: The fifth installment of the King of Fighters series features an unprecedented 38 selectable characters (the largest roster to date) with fully customizable 3-man teams. 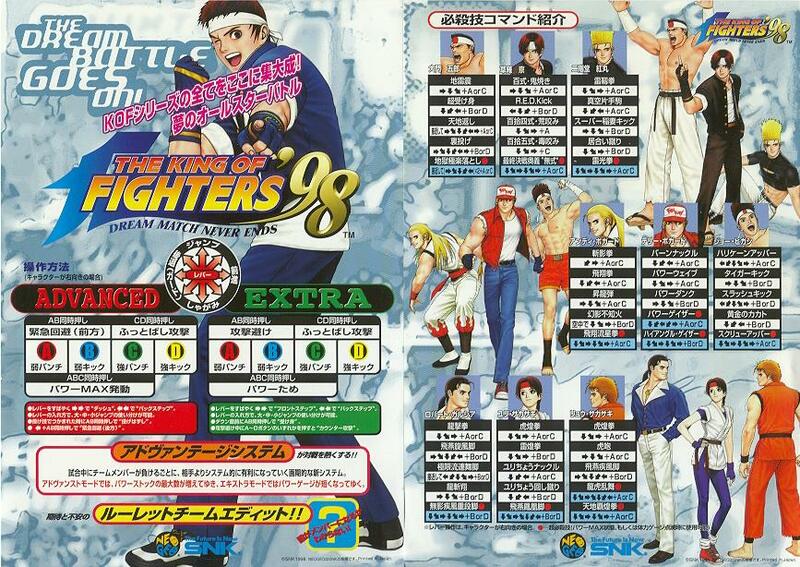 Like the prequel, KOF '98 offers two styles of play after you've picked your team: Advanced & Extra. 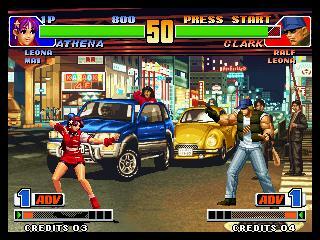 Terry: *whistles* Over here meathead! 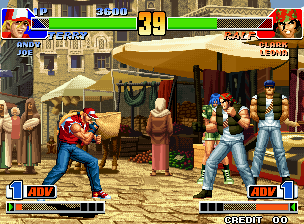 The main gameplay enhancement of KOF '98 is the new advantage system. 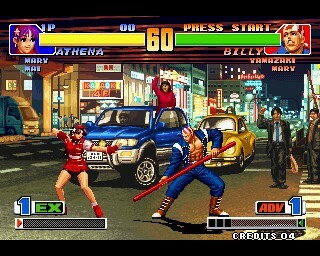 Now when you lose a round/character, you gain an advantage during the next round depending on your play mode. 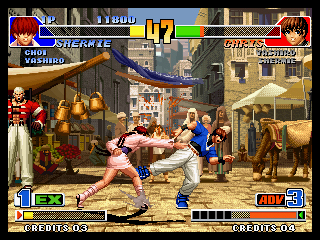 In Advanced, you get one more power stock, and in Extra the gauge size decreases. 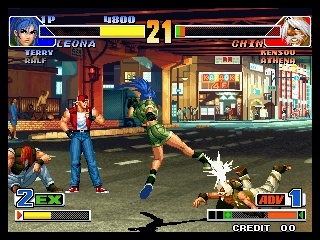 Like with past installments, many characters' fighting styles were slightly tweaked, and most returning characters acquired some new moves. 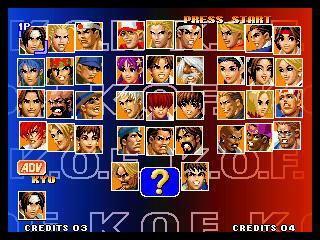 A variety of characters even have alternate "EX" versions which feature entirely different movesets. 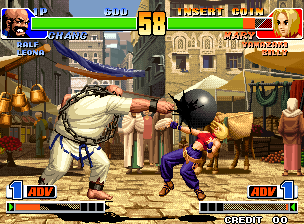 That probably hurt a little. 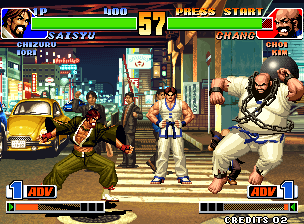 Following series tradition, all of the returning character sprites are the exactly the same, but the hand-drawn backgrounds are entirely new. 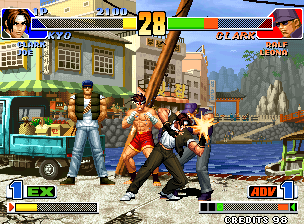 In my opinion, KOF '98's backgrounds are the most exciting to date, featuring a ton of catchy details and animations. 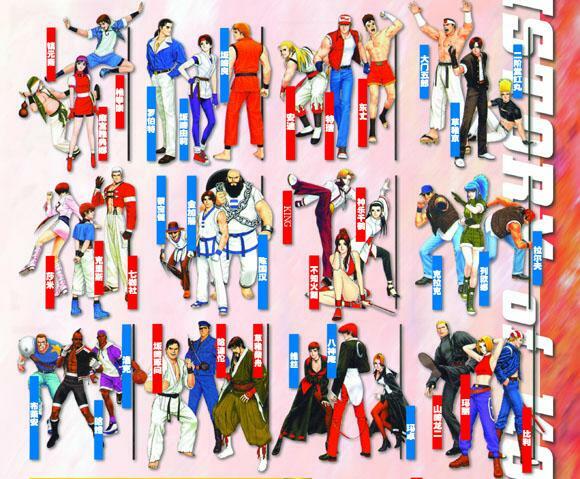 While KOF '98's animation and overall graphics quality didn't really stand up to the "top" 2D fighting games of the time period, the game still managed to turn heads with its awesome roster, customizable gameplay experience, and what I like to call "classic 2D fighting game charm". 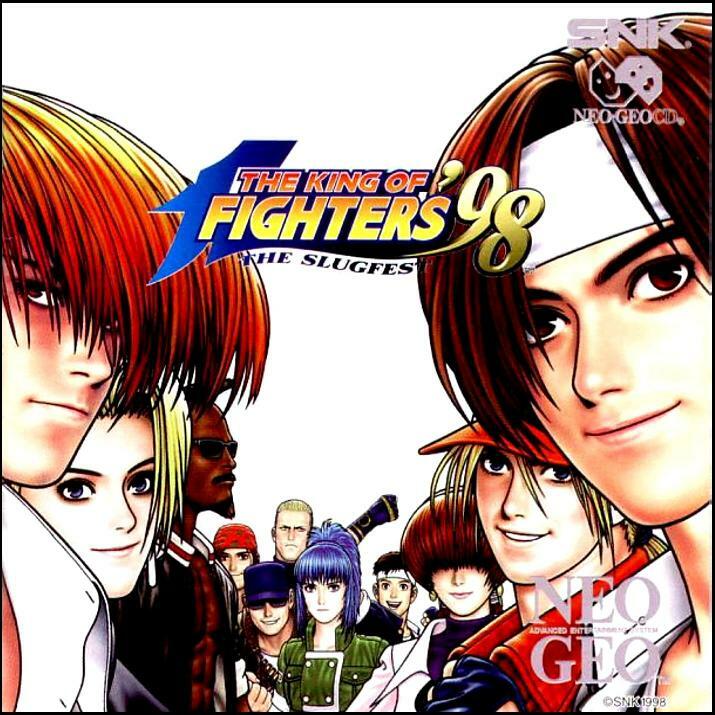 King of Fighters '98 was no doubt the best the series had to offer when it debuted, and even many years after new KOF sequels were released, many fans were still playing 98' competitively. 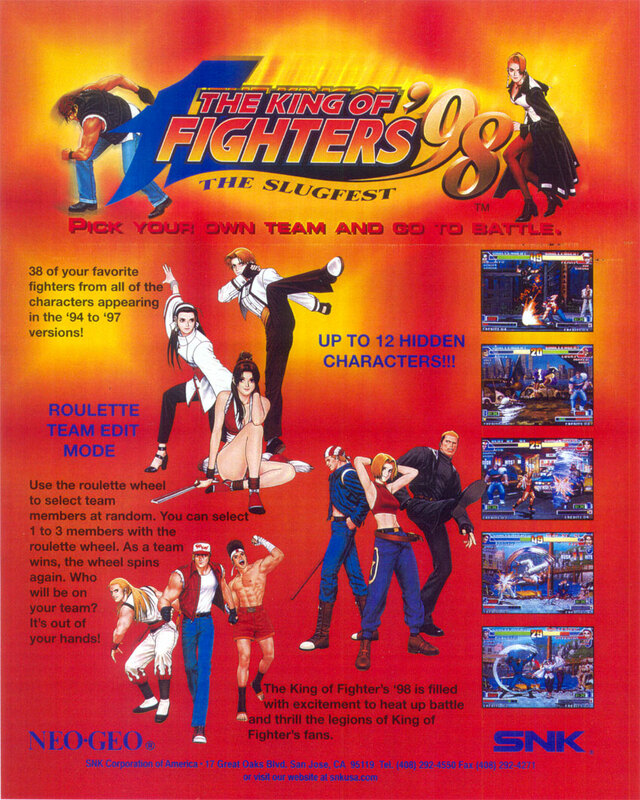 The large and balanced character roster, in addition with the refined and balanced gameplay, made KOF '98 a fan favorite SNK fighting game for many years (and still is). 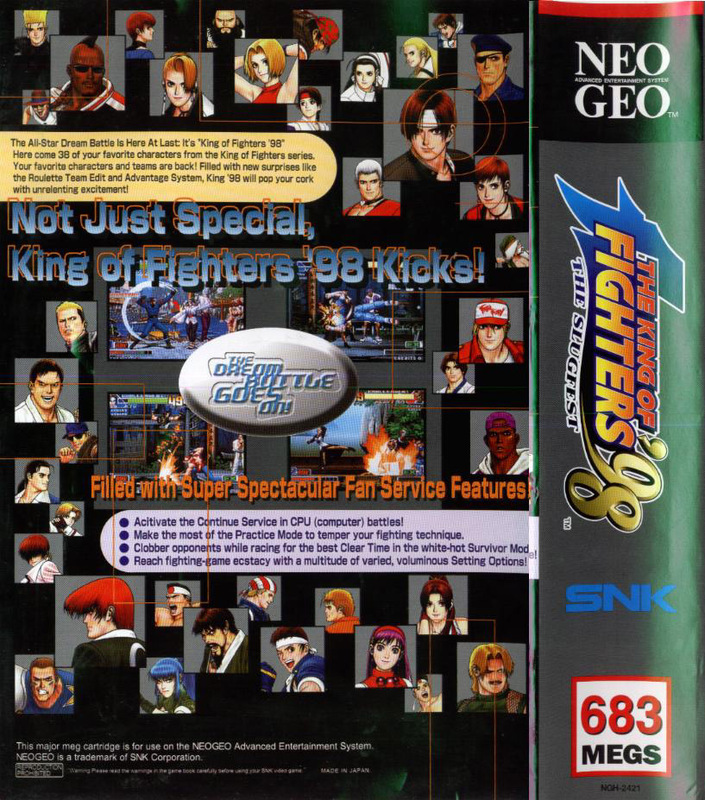 After KOF '98's original release in arcades on July 23, 1998, the game was ported to the PS1 on March 25th, 1999. 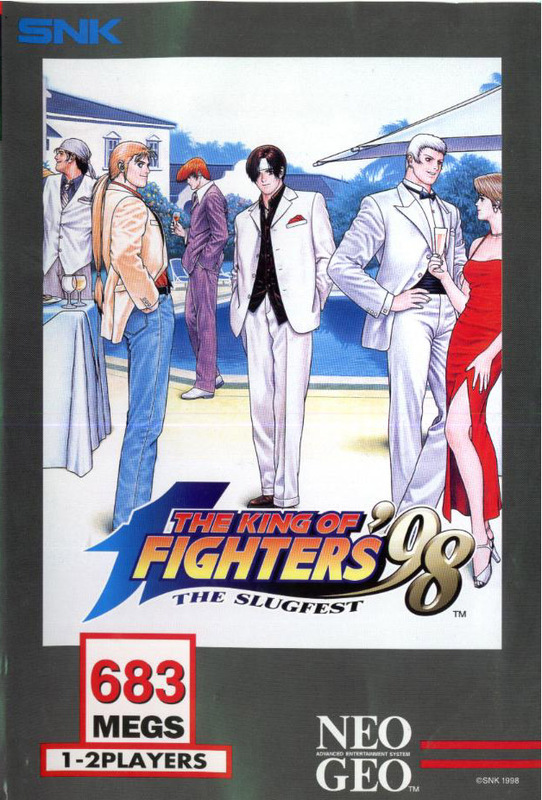 A few months later, a Dreamcast version was also released (June 24th), under a new title: The King of Fighters: Dream Match 1999. 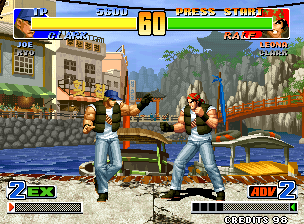 The Dreamcast port featured a brand new "anime style" opening movie (which was awesome), retouched backgrounds introducing new 3D elements, and some additional modes. 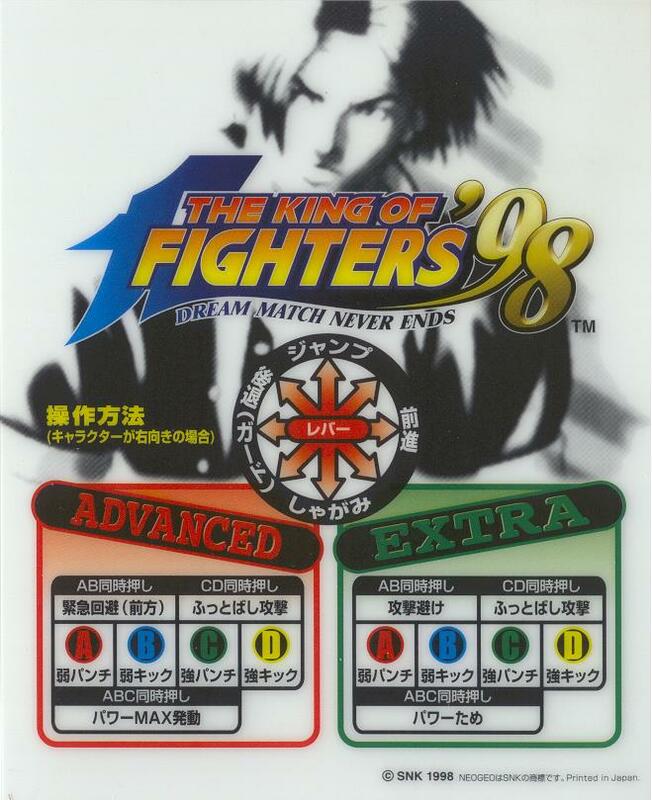 Finally, ten years after the original release, King of Fighters '98 Ultimate Match, a remake featuring new characters and stages, was released on PS2. 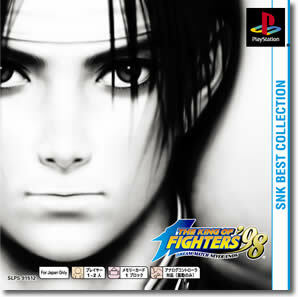 King of Fighters '98 is also found in the compilation pack, King of Fighters Collection: Orochi Saga, released on PS2, PSP and Nintendo Wii.